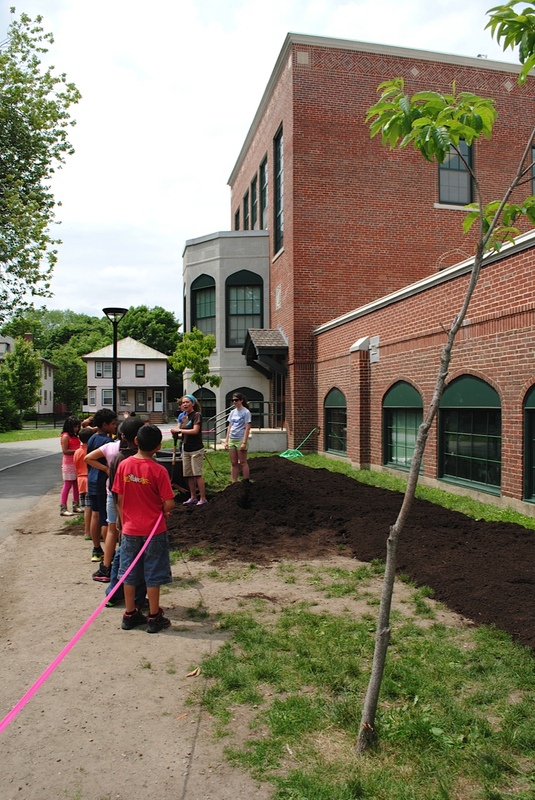 Students from the Whittemore Elementary School, led by Healthy Waltham’s Nina Rogowsky, Jennifer Mandelbaum and Libby Jones, broke ground on their new school garden on June 12! The enthusiastic kids moved compost, prepared garden beds, and planted raspberries, peppers, cherry tomatoes and herbs. The new garden, located on a quiet and sunny side of the school, will serve as an outdoor classroom to help kids learn about where their food comes from. Kids will have a chance to tend to the garden and eventually also participate in harvesting vegetables and herbs. The new garden at the Whittemore Elementary School was made possible by a grant to Healthy Waltham from the Whole Kids Foundation. The Whittemore garden is the fourth school garden begun by Healthy Waltham. The other schools that have gardens are Stanley Elementary, Northeast Elementary, and McDevitt Middle School. 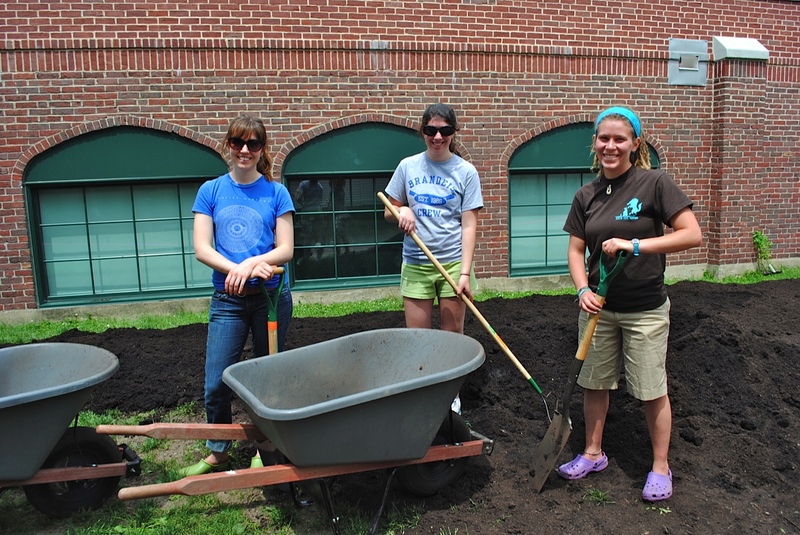 Libby, Jen and Nina get ready to plant at the new Whittemore Elementary School garden. Kids get ready to spread compost at the new Whittemore Elementary School garden.